We have a variety of activities and meetings throughout the week, most of which meet at the church building. Keep an eye on our Facebook page for the latest details about our regular activities, as well as one-off events and other church news. Our weekly church services in Borough Green, where we meet together to worship God through singing, prayer and hearing preaching from the Bible. 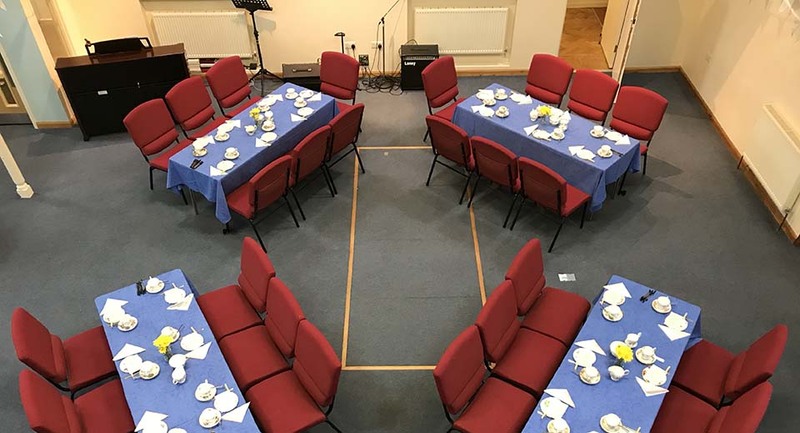 We also serve refreshments after the morning service, so you can have a chat over a cuppa! A chance for our ladies to meet and consider issues together. A weekly meeting where we pray together and study a Bible passage. Note, every first Thursday we meet in the homes of some of our members, get in touch for more details! Anyone is welcome to join us for Messy Church, with a craft activity, a short Bible story and a hot meal. For more details, visit the Facebook page. We’re situated right in the centre of Borough Green, at the crossroads. You can find more details on our contact page. Our Facebook page is the best place to find the latest church news and events.